This is the first batch of commercially-raised Clown Triggerfish available for sale in North America. These have been hatched in captivity and raised by Biota Marine Life Nursery in Palau. 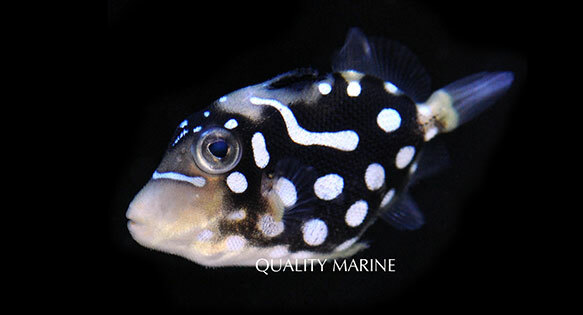 Quality Marine is the exclusive vendor for these fish in North America. We are holding these fish individually, as Clown Triggerfish are known for aggressive behavior, especially as they get older. These fish were cultured and held together for quite a large portion of their lives and as a result may not be as aggressive as their wild counterparts. That being said, our interest lies in ensuring the best health of our stock as well as the quality of the specimen when delivered to our customer, and so we intend not to “test” their temperaments. We are feeding them Gamma mysis, enriched brine, krill, chopped prawn, and other marine-based diced meaty foods. They also get some more protein-dense foods like pellets and gel, which they have taken greedily. Like most Triggers, they have seemingly bottomless stomachs, and do best on multiple feedings per day. For more information on this culture breakthrough, the fish it produced, and the company involved, be sure to check out Coral Magazine for a full-length write-up on the topic. 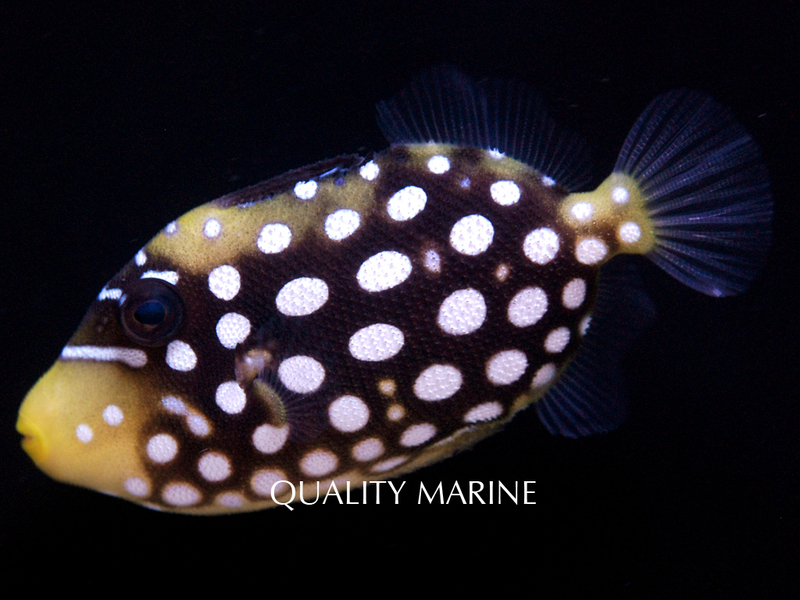 Celebrating over 35 years in business, Quality Marine continues to provide the public and retail Aquarium industry with the highest quality, most sustainable, and widest selection of both wild and aquacultured marine fish and invertebrates. Quality Marine works tirelessly to support responsible operators that collect in a sustainable manner and protect the reef habitat. We encourage all industry professionals to do the same. We continue to exhibit our commitment to helping make this industry a better one, to help protect our resources for not only the longevity of our trade, but also for the preservation of the environment. As our business grows, we still focus on the keys to our success: quality, variety, and service, second to none.